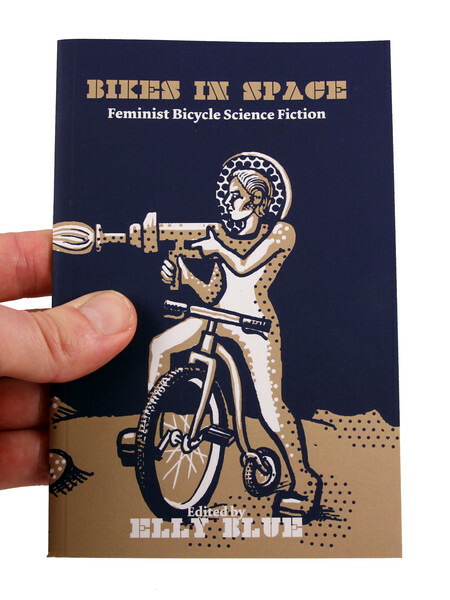 A powerful tribute to feminist sci-fi about bicycles. It gravitates away from the unfortunately-traditional macho heroes, hurtling through space with giant guns, ready to protect and/or tame their scantily clad space babe. 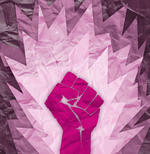 Elly's visions of the future are populated by strong, intelligent, empowered women with complex personalities. 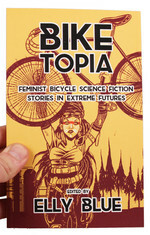 Heroines find meaning and freedom on two wheels in the confines of a gated space society and in the ravaged earth left behind. Racers compete in deep space and on otherworldly planets. From fantasy to hard sci-fi to dystopia, there's something for everyone in this little volume that launched a genre. 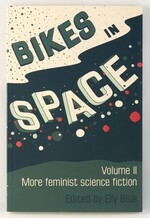 Check it out, Bikes in Space is an annual series now! Here's Volume 2 and the third volume, Pedal Zombies! "Blue is an inspiration to me. She took her passions and ran with them. She dared to fail and succeeded in creating a new subgenre of science fiction. A subgenre that fills my heart with joy. 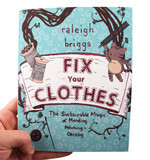 I look forward to each new anthology in this series." "The stories are short, but bristle with compelling details about futures both dystopian and transformative. 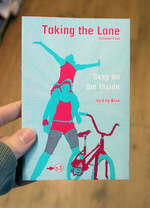 I particularly enjoyed how several of the writers described the kinetic experience of riding a bike and the visceral thrill of propelling one’s self through space. While the audience Bikes in Space is talking to might seem like a small sub-section of the SF/F readership, I found the specific perspective a fascinating way to approach standard science fiction themes." Whilst principally about bikes, Bikes in Space also represents what cycling standards for: the freedom and liberation of travel by vehicle that is powered by oneself, as well as the constraints that come from this timeless mode of transport. 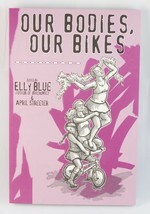 Elly projects a future inhabited by capable, brilliant, vivacious females, combined with a biking theme which makes it relatable to cyclists and non-cyclists alike.